sold ! 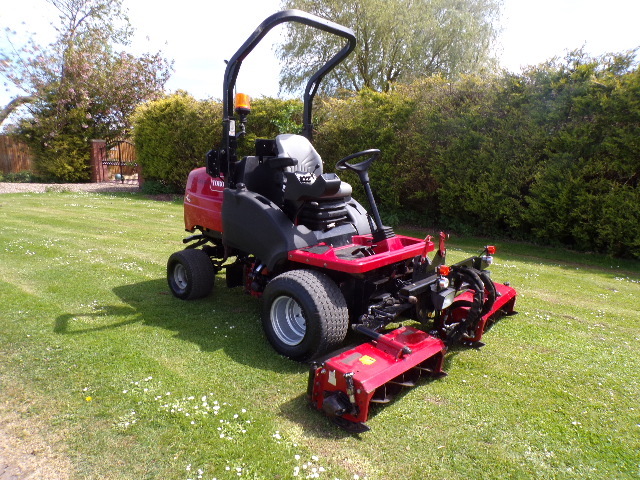 TORO HAYTER LT3340 TRIPLE MOWER 4X4 GROUND SOLD! Brief Description: YEAR 2012. HOURS 1850. NEW MODEL HAYTER. GANG RIDE ON MOWER. 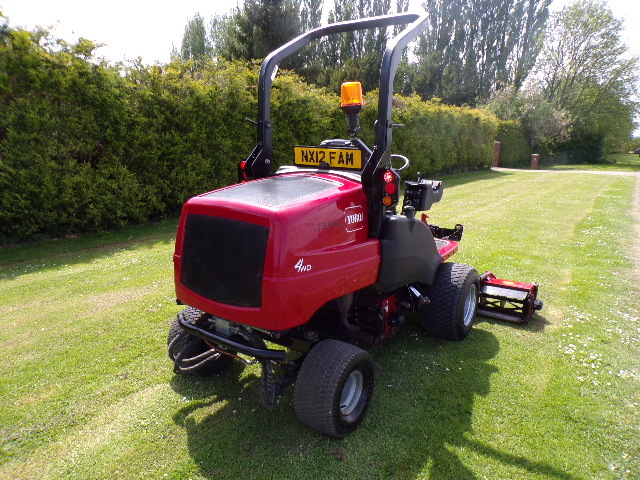 NEW CYLINDERS NEW BOTTOM BLADES 35HP 4 CYLINDER KUBOTA DIESEL ENGINE. 4X4. 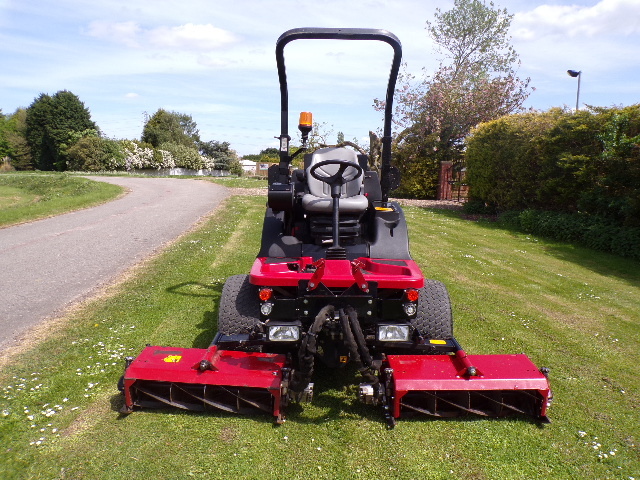 8" HEADS WITH 6 BLADES. HST. PAS. ROPS. FLASHING BEACON. ROAD REGISTERED. 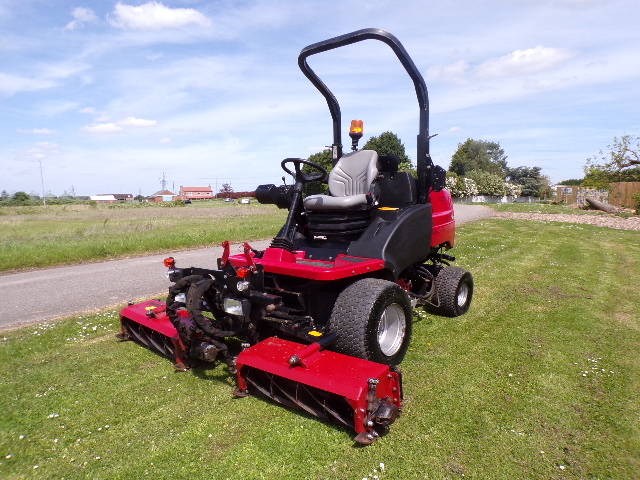 More Information: High performance reel mower. Heavy duty, robust construction. 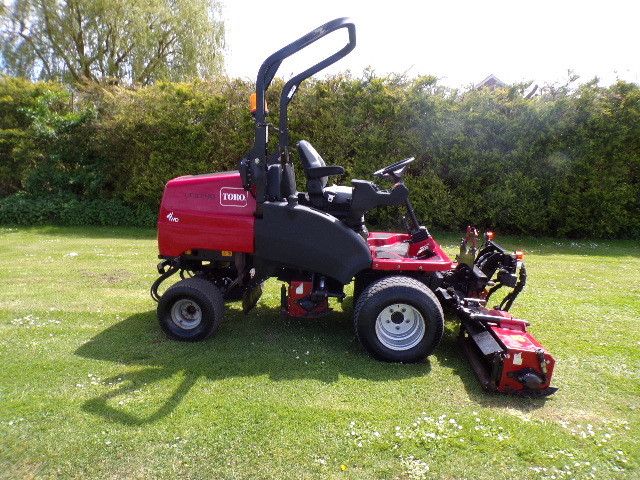 Powerful & reliable Kubota diesel engine. Building on a long stranding legacy, the high quality design and robust heavy duty construction will meet the most demanding of environments whilst the range of high-performance, commercial specification cutting units � will provide the perfect finish every time. 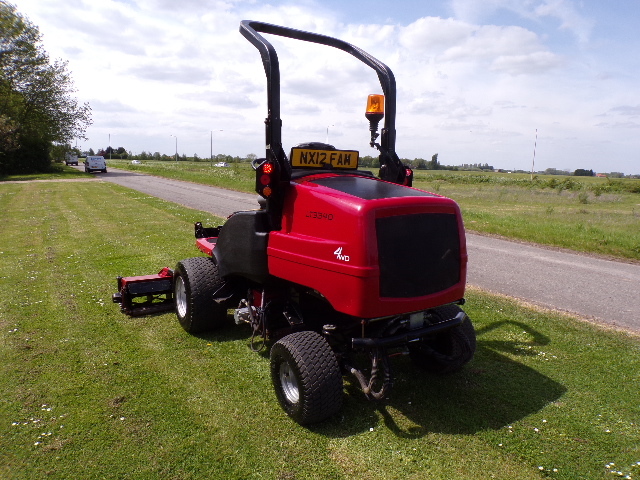 From light trimming to mowing dense, overgrown areas, the LT3340 can be tailored to suit your mowing application.